When You Can’t Find a Grant - Crowdfund! 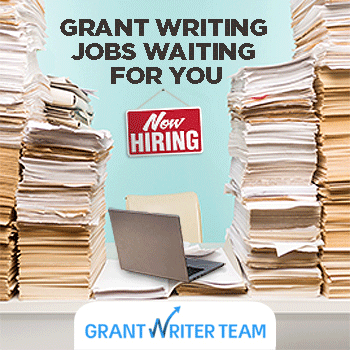 You work hard to search for the perfect grant. You rally your team to write and submit the application. You wait in anticipation for the results. It's an old idea that has found new life on the internet. Crowdfunding is a method whereby individuals can donate to fund your project! Details about the project can be easily shared on social media allowing you to get the word out to potential donors across the country who might be interested in your crowdfunding campaign. Millions of dollars have been raised on popular crowdfunding platforms to make movies and videogames, introduce new products, and most importantly to support charities and nonprofits. The Ultimate Guide to Nonprofit Fundraising With Crowdfunding: A start-to finish handbook on how to raise money with crowdfunding For some extra help, check out a book by Steve Vick available at Amazon.com. This book is a step-by-step guide to setting up, launching, and maintaining your crowdfuding campaign. Read this book for some additional strategies on how motivate support. On Uhelpfund you can use your already prepared grant application to apply for support through crowdfunding. Uhelpfund. was designed specifically for organizations that write grants, allowing you to place already prepared text into your crowdfunding project. With Uhelpfund you will save time fundraising and be able to continue to accomplish your organization's goals. You can upload some video footage and pictures to enhance your crowdfunding campaign. Contact our team of crowdfunding specialists or call us today at: 561-249-4129 for more information.